Companies consider offshore software development for cost reasons. But is it a great option? Read on to learn more about outsourcing your project overseas. The software industry is among the top 10 most profitable industries, especially due to costly enterprise-level software projects. In fact, a recent study shows 50% of businesses plan to outsource software development. When outsourcing software development, many project managers will consider going the offshore route. Read on to learn all about the pros and cons of offshore software development. Cost efficiency is one of the biggest benefits when outsourcing software development offshore. It’s important for businesses to consider hourly cost and expected labor hours, in the interview process. This will allow for proper budgeting and actually get the most cost savings possible. Failing to do so can result in offshore outsourcing costing as much as in-house or nearshore work. Hiring in-house can be expensive. Removing this burden is another major benefit of offshore software development. That said, careful logistics planning is also key when working with an offshore team. Planning out schedules, meetings, phone calls, and deadlines around time zone and cultural workplace differences can be tricky. Setting these logistics in place early on in the project can help both parties avoid major hiccups and headaches. Along with logistics planning, it’s important to consider the communication channels present when working with offshore companies. Languages and cultural barriers can present major problems, if not considered early on in the interview stage. Choosing to work with an offshore developer that has detailed and organized communication systems in place will ensure the project is completed successfully in a timely manner. 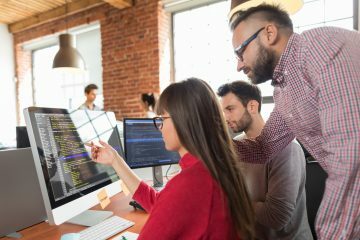 Logistics and communication are not the only facets of a successful software development project. Choosing an offshore developer with a history of quality work is of prime importance. Keep in mind that the code is the lifeblood of your product. This is true whether you’re building a mobile app for branding or developing a full software suite for internal use. Last but not least, there are always intellectual property concerns when developing software. This is especially true when working with an offshore software development team. It’s important to research the business norms and intellectual property laws in a developer’s country. This will help a legal team put together nondisclosure agreements and work-for-hire contracts. These ensure that your code is protected. There is no need for suspicion right off the bat. It is important to be covered legally and ensure your product cannot be sold to competitors. 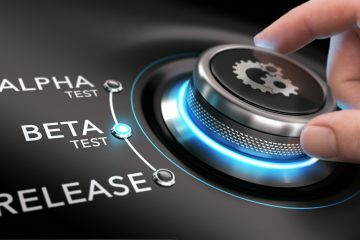 Is Offshore Software Development Right For You? 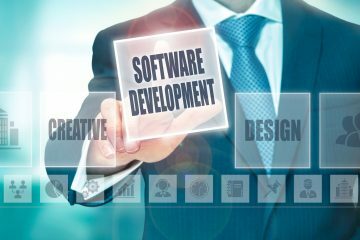 Offshore software development can present a variety of benefits and challenges that businesses should consider before starting a project! Do you think offshore development would work for software projects you have in the pipeline? Ready to kick off a new development project with an outstanding team? Contact us, as we’d love to partner with you!